Our most comprehensive e-commerse site yet! 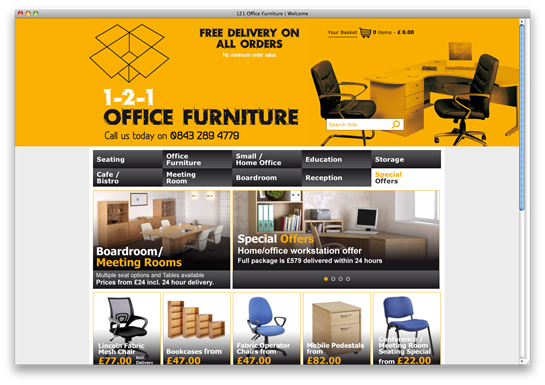 We sell office furniture to public bodies, companies and the public/home office users. Designed by our partners at PR Print and built by Media Solutions. 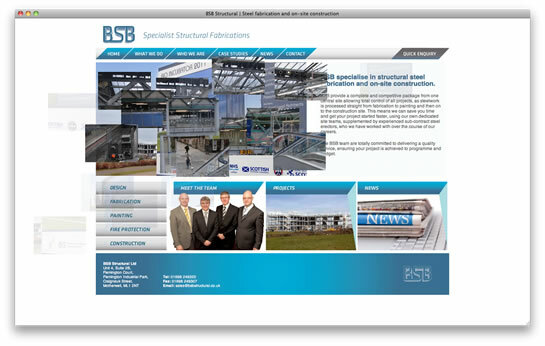 BSB specialise in structural steel fabrication and on-site construction. Designed by our partners at Think Creative and built by Media Solutions. 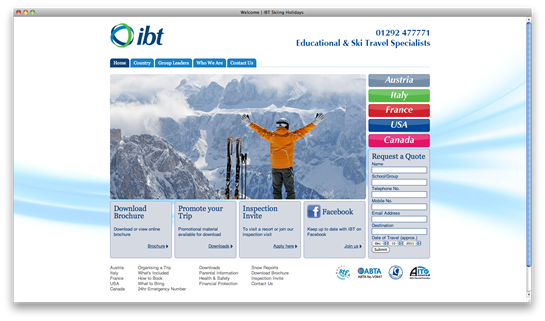 The educational ski people in Scotland. 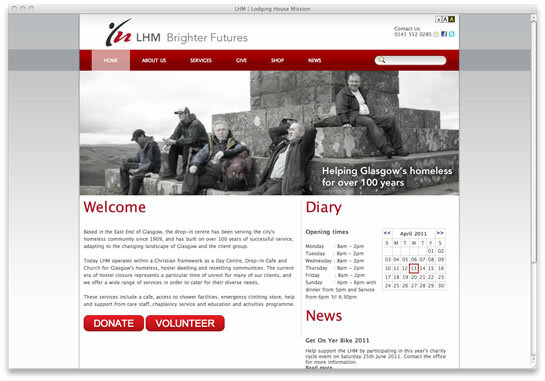 LHM have been helping Glasgow's homeless for over 100 years! Today LHM operates within a Christian framework as a Day Centre, Drop-In Cafe and Church for Glasgow's homeless, hostel dwelling and resettling communities. Designed and built by Media Solutions. 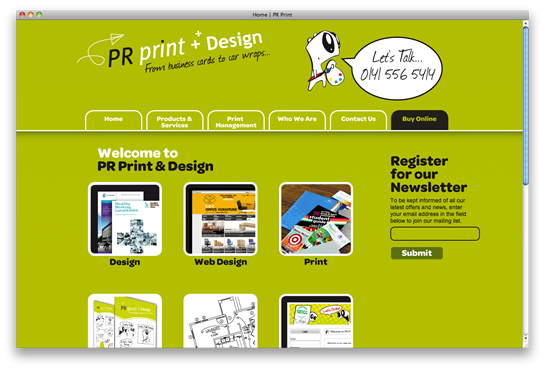 PR Print offer our clients a wide range of print options, ranging from business cards to large format print. Designed by themselves and built by Media Solutions. The beauty press are going wild about the amazing results acheived using PureLogicol skincare products as are TV, science and the stars who use it. 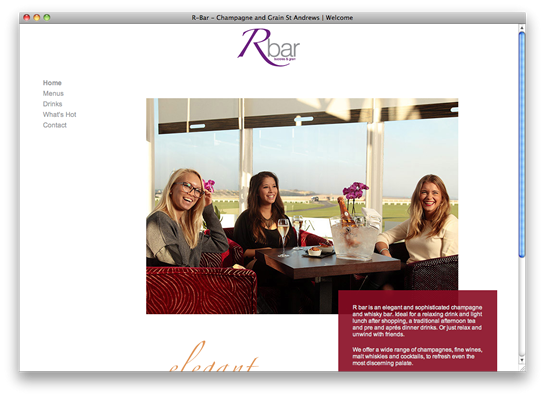 We offer a wide range of champagnes, fine wines, malt whiskies and cocktails, to refresh even the most discerning palate. Designed by our partners at Bootlace and built by Media Solutions. At the heart of the dining experience is our exceptional food. We use locally sourced fresh Scottish ingredients to create our delicious and varied seasonal menus. 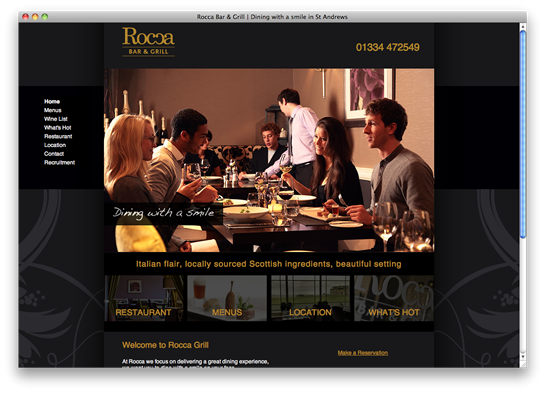 Our food is inspired by classical Scottish cooking but with a creative Italian twist. The One Under is where a pub crashes into a restaurant. 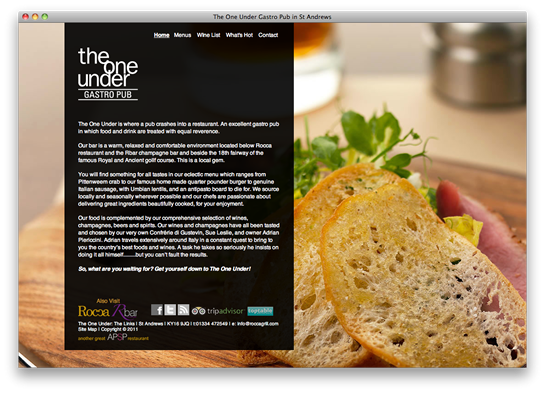 An excellent gastro pub in which food and drink are treated with equal reverence. Your wedding day is just that. YOUR day, therefore we tailor each production to suit you and meet all your expectations. 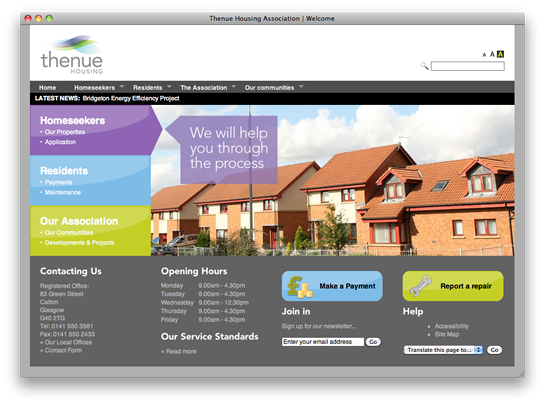 Thenue is a Registered Social Landlord which means we are a "not for profit" landlord providing affordable housing to rent. We own and manage housing in a number of communities across Glasgow: Bridgeton, Calton, Cranhill, Castlemilk, Dalmarnock and Blackhill. © 2003-2019 Glasgow's Regeneration Agency Ltd. E&OE. All rights reserved. GRA is a Company Limited by Guarantee. Registered in Scotland No. 108565. Charitable Status No. SC023930. VAT No. 617 2038 62.